In addition to experts, volunteers, organizers, and contestants, our audience included close to 1,200 remote viewers tuning in through Facebook Livestream (in case you missed it, check out the CDRC Facebook page below to watch the feedback session). Sentiments of admiration, joy, and excitement were rife when the finals came to an end. 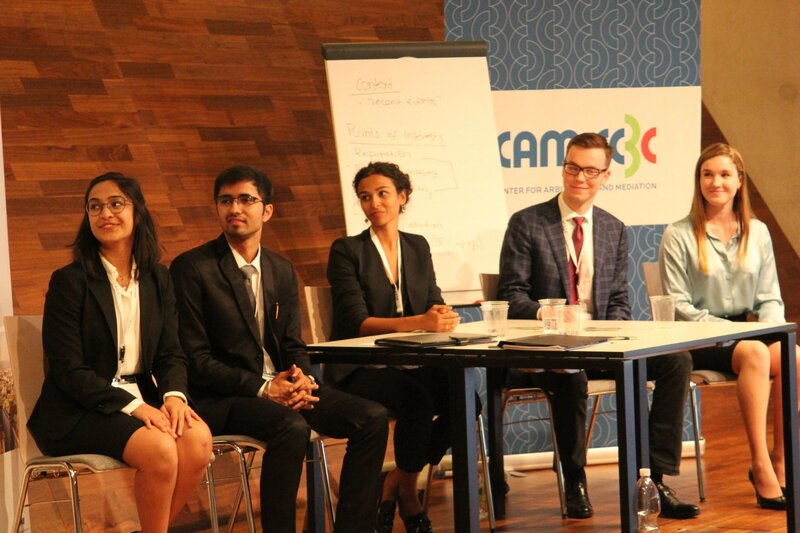 Several experts offered inspiring closing remarks underscoring the great maturity and growth contestants demonstrated throughout the competition. Sonia’s words give much food for thought. Despite a life lived in an international setting, she had yet to evolve certain skills necessary to navigate international environments. The CDRC proved to be an experience that catalyzed the development of these skills for Sonia and many other contestants with similar back grounds. The ceremony concluded with the moving speech of CDRC Director, Dr. Claudia Winkler, who expressed her joy for the familial atmosphere that characterized the competition. Her words were met with smiles and tears, a heart-warming confirmation that, indeed, over the course of only a few days, the CDRC competition created a unique family. Congratulations once more to all participants and good luck in all future endeavors! Jasmine recently graduated from Swarthmore College with a bachelor’s degree in Political Science, Latin American Studies, and Education. Later this year she will be pursuing a master’s degree in Women’s Studies at Oxford University.